Former FBI Director James Comey said Wednesday he's "embarrassed and ashamed" by the Republican Party, arguing the party is willing to sacrifice its values to earn legislative wins. Comey said he was first attracted to the Republican Party because it valued character above all else, and placed an emphasis on national defense. "My question for Republicans is, so, where is that? Where is that commitment to character and values," Comey said during a CNN town hall event. "And if people have convinced themselves we'll trade it temporarily for a tax cut or Supreme Court justice, that's a fool's bargain." "What I hope they'll do is ask themselves, Republicans, 'so what will I tell my grandchildren when they ask me so what did you do?'" Comey continued. "Did you trade a tax cut for the rule of law?" 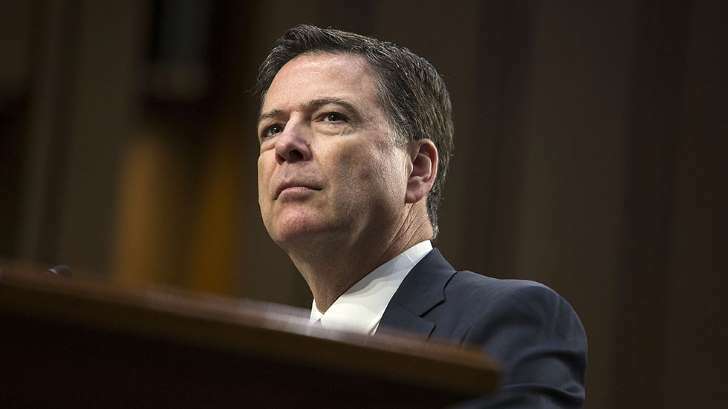 Comey has spent the last couple weeks railing against President Trump, and at times the Republican Party, as he makes the rounds on national media outlets to promote his new book. He previously said the GOP has alienated voters like him by condoning Trump's rhetoric. The former FBI director has argued Trump is morally unfit to be president, and suggested the president may be compromised by Russians. Trump has fired back, calling Comey and "liar & leaker" and claiming he broke the law by releasing classified information.